Home News What to expect from the GST council’s meeting on January 10? What to expect from the GST council’s meeting on January 10? Of all the major policies of the Narendra Modi government, the Goods and Services Tax (GST) has probably seen the most number of revisions, ever since its implementation in July 2017. However, yet more revisions are in order — as evident from the recent fine-tuning where rates were cut on 23 items. 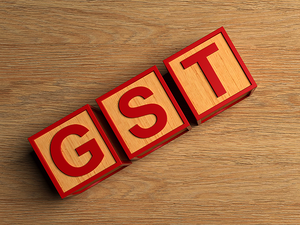 This year will see a bigger overhaul in the GST, as the government tries to bring the rates closer to a uniform figure, while taxing only luxury and ‘sin’ goods such as cigarettes and tobacco in the top bracket of 28%. A change in government at the Centre can throw the GST into a quandary. In its current shape, it was cited as one of the factors that alienated voters to a large extent in the recent Assembly elections. In the GST council’s next meeting on January 10, members are likely to discuss the issue of raising the turnover threshold for micro, small and medium-scale enterprises (MSMEs) to get into the GST ambit, from the current Rs 20 lakh to Rs 75 lakh. The council may also consider lowering GST on under-construction flats and houses to 5%. GST had been touted as ‘revolutionary’ and ‘historic’. However, a series of hiccups and technology glitches have marred its implementation right from the beginning. It has been cited as a major reason for the resentment that the government has faced from the business community, especially from SMEs. Tax collections under GST have also not been very exciting. GST collections in December 2018 slowed down to Rs 94,726 crore from Rs 97,637 crore collected in November 2018, as per the data released by the finance ministry on January 1. GST collection in October 2018 was the second highest this fiscal, at Rs1,00,710 crore, while the highest was in April 2018 at Rs1,03,459 crore. Meanwhile, traders want GST to be more simplified, so that more businesses can become tax compliant. 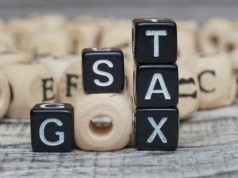 According to the Confederation of All India Traders (CAIT), half of the seven crore businesses in the country can be brought under the indirect tax scheme if its procedures were simplified. Currently, traders face many difficulties, including glitches in the GST portal, irrational classification of goods in different slabs, complicated tax procedure, non-availability of refunds form from the tax authorities and complicated return forms. 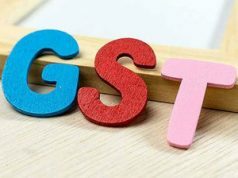 Reports say that only 35% of the trading community has something as basic as a computer, and the awareness levels about GST law, rules and regulations leave much to be desired. Raising the threshold limit for MSMEs is seen to be more practical than tax refunds in providing them relief. 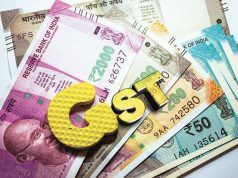 GST members like Sushil Kumar Modi, the deputy CM of Bihar, are of the view that a composition scheme similar to the one for traders and manufacturers could be made available for small services providers, with an annual revenue limit in the range of Rs50 lakh and Rs1 crore. Under this, small taxpayers can get rid of tedious GST formalities and pay GST at a fixed rate of turnover. Considering the suggestions that have been coming in from different quarters, as well as the upcoming elections, the government will want to leave no stone unturned to keep fine-tuning the GST, so that it becomes a lot more business friendly.